Add fabulous texture and vibrant, fade-resistant color with irRESISTible! Can be sprayed, brushed, dabbed, or stamped onto porous and non-porous surfaces. Use irRESISTible with water for a unique watercolor effect, or with dye and pigment inks for a high-impact resist effect. irRESISTible colors can be mixed to create your own custom hues. 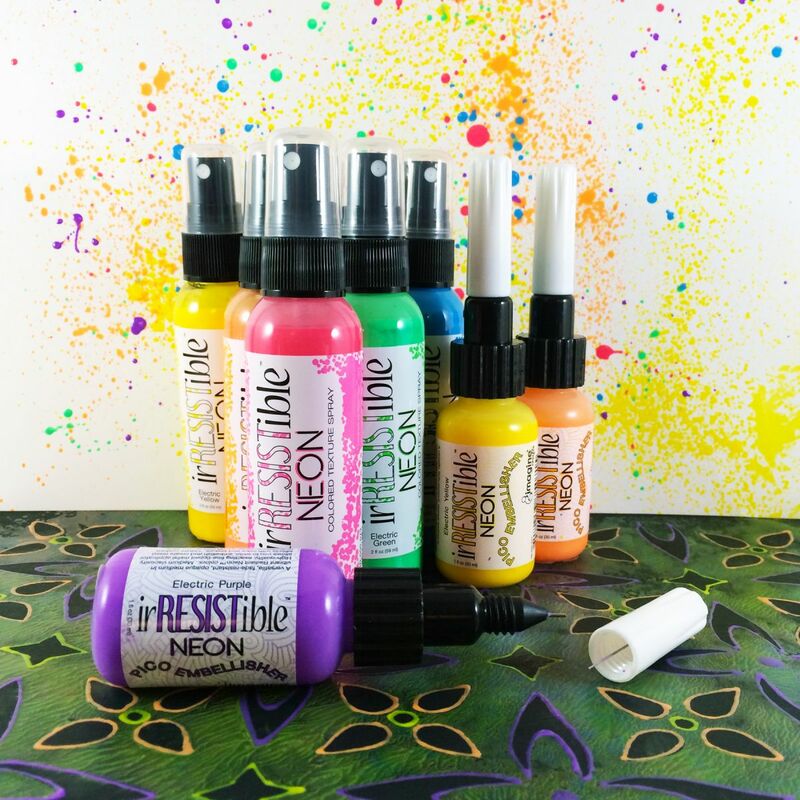 irRESISTible is availalbe in colors complementary to the Memento (translucent) and Radiant Neon (opaque) ink lines, along with four metallic colors (opaque): Gold, SIlver, Copper and Bronze. irRESISTible is offered in a 2 oz spray and in a 1 oz Pico embellisher. 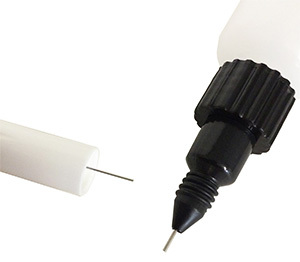 The Pico Embellisher is fitted with a 0.8 mm stainless steel fine-tipped applicator for writing, doodling and other embellishing, with a non-clog feature built into the cap. Getting creative with irRESISTible sprays is simple - just point and spray! Mist backgrounds for lighter textures, or spray closer to the surface for more color coverage. For bold effects, unscrew the spray nozzle from the bottle and drip or 'flick' color onto the surface. 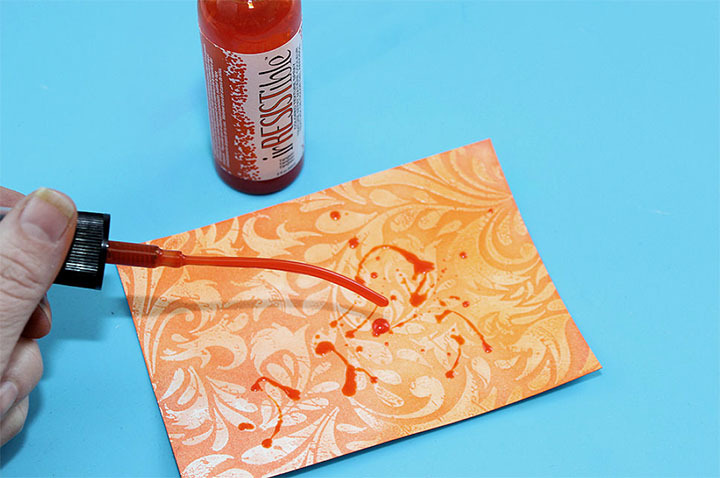 irRESISTible sprays are perfect for using with stencils to add color and texture at the same time! To layer colors, allow each individual color of irRESISTible to dry before spraying the next color. Each bottle is 1 fluid ounce of medium which goes a long way! 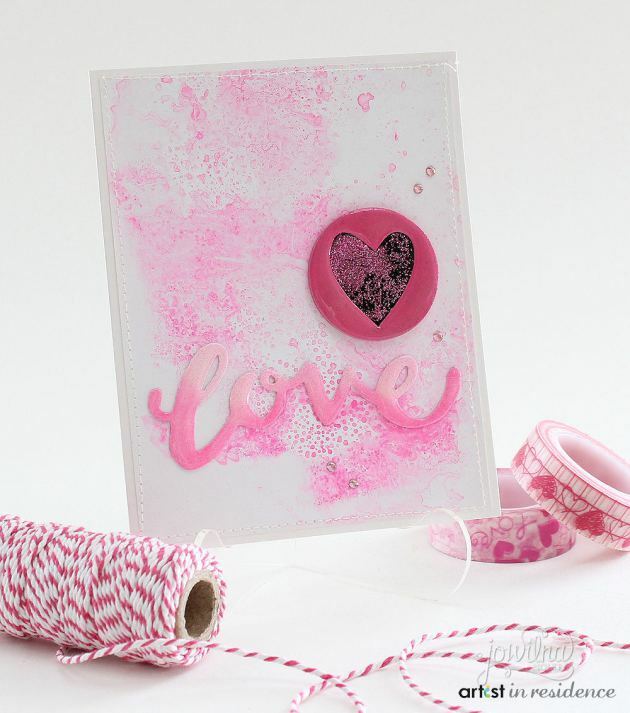 For adding extra dimension to cards, use the irRESISTible Pico Embellisher. This applicator allows you the freedom to write, draw, color or simply create fun dot embellishments with the same dimensional resist medium. 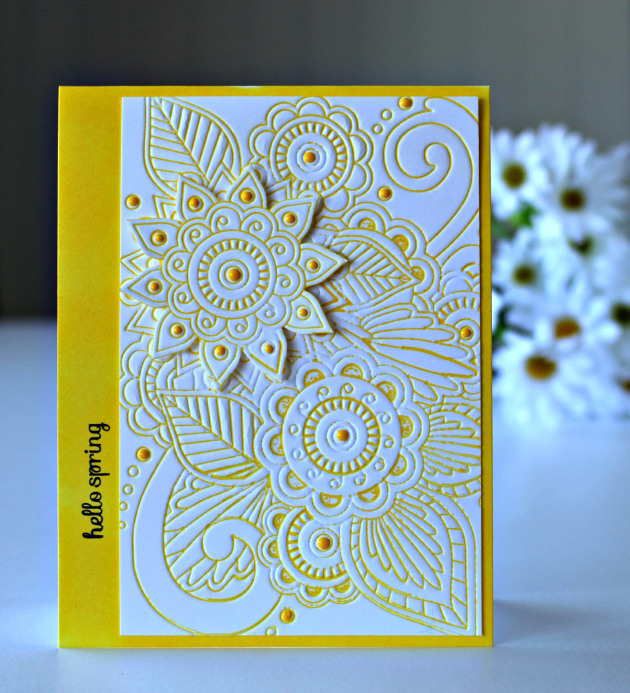 Zentangle artists LOVE the fine point applicator on the Pico Embellisher. 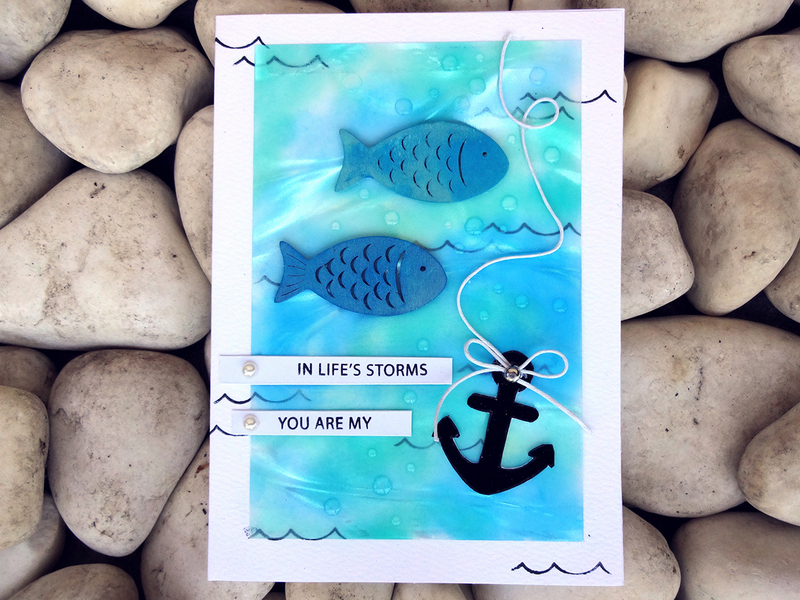 The Pico Embellisher can be used on a variety of different surfaces besides paper! For this example, the Pico Embellisher was used to enhance the sea look of the inked Vertigo, with bubbles and waves addded in clear and black. 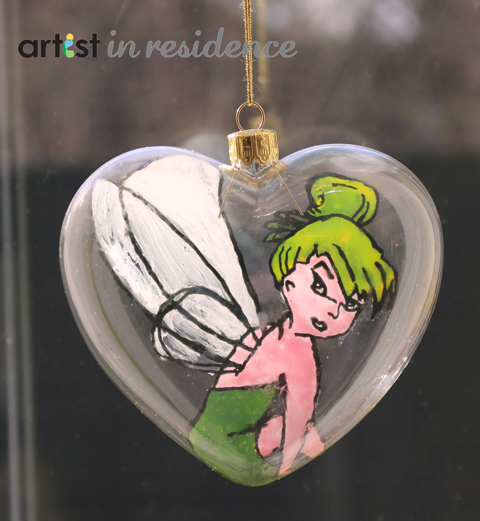 The Pico Embellisher was used for creating this glass ornament. Tuxedo Black was first applied to create the outline of the shape, and then other colors were used to fill in the image. "It's such a fun and easy way to make certain areas pop with an alternative color or to "white out" some areas in my project by using white, clear or shimmer Pico and add dimension at the same time. The dimensional nature also lends it's self well to mixed media projects. I especially love the black and metallics for mixed media type projects because the gloss aspect adds another dimension to what can be a rather matte looking finish." Always clean the nozzle immediately after spraying. Immediately replace the cap over the spray nozzle to avoid clogging. Shake bottle before use. Apply first off project (onto craft mat) to remove any air bubbles. Wipe the end of the applicator tip after use. To avoid clogging, immediately replace the cap when finished using.